Select Public or My templates or one of their subgroups. Double-click a template. In the Template view, click XML. Make changes to the XML code for the template. To save changes, click Save changes. To export a copy of the template, click Export and specify a file location. Click OK to close the Template view. 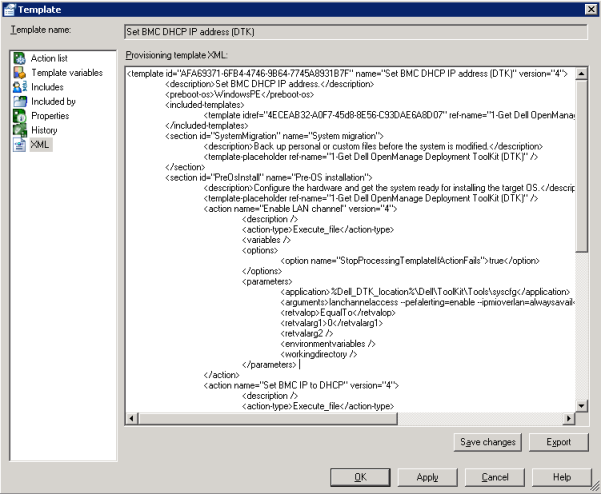 Provisioning templates are structured using the following general XML format.